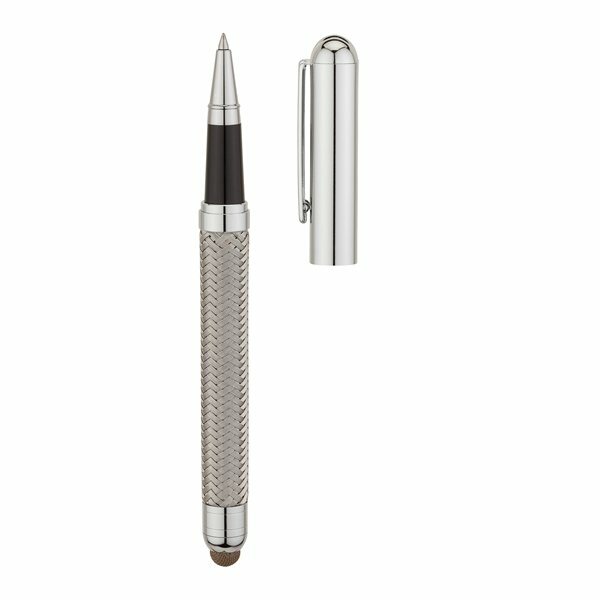 The Bettoni Fasciare solid brass rollerball pen features a woven steel barrel, cap off design, and a chrome cap and clip. It also has a durable conductive fiber capacitive stylus tip that works with touch screen devices and a German-made black ink refill. Finish / Material: Steel, Brass. Very satisfied with the professional look of the products. my boss love it. Rosa is very helpful in keeping you updated on the process of the order as it is in productions, mailing etc... We used as an appreciation gift for participants.